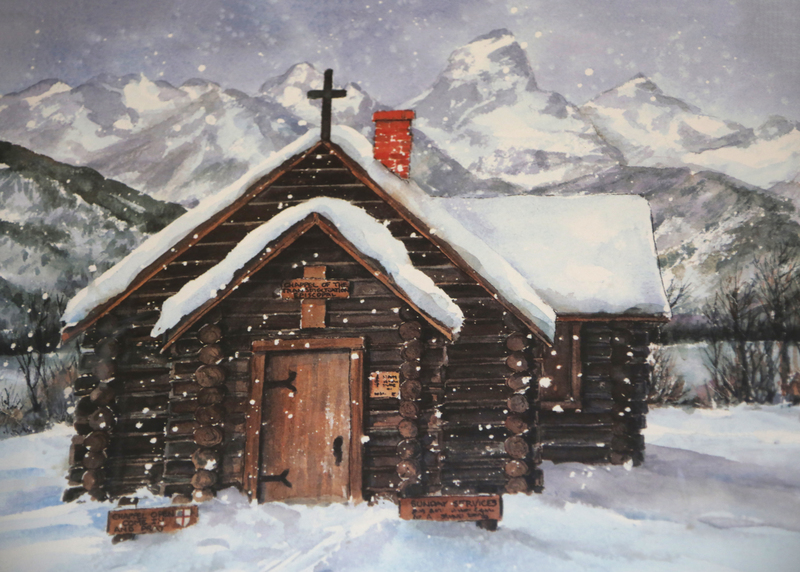 Watercolor Print of the Chapel of the Transfiguration in Winter in Grand Teton National Park, near Jackson, Wyoming. By Fred Kingwill (www.stjohnsjackson.org). Watercolor of chapel in winter by Fred Kingwill. Actually saw this at the Chapel, and would love to have a print of it, it’s just lovely. Can you tell me how I might obtain a print? Your best bet would be to contact the church (www.stjohnsjackson.org) by phone (sometimes they have prints available), or the artist directly at fredkingwill@gmail.com. He participates in local art shows.